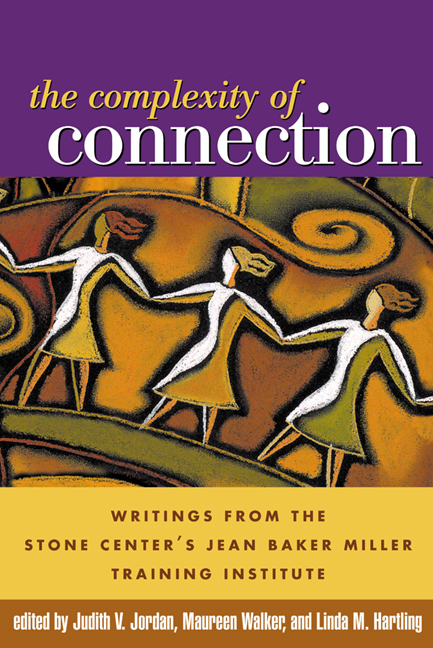 In this important third volume from the Stone Center at Wellesley College, founding scholars and new voices expand and deepen the Center's widely embraced psychological theory of connection as the core of human growth and development. The volume presents an absorbing and practical examination of connection and disconnection at both individual and societal levels. Chapters explore how experiences of race, ethnicity, sexual orientation, class, and gender influence relationships, and how people can connect across difference and disagreement. Also discussed are practical implications of the theory for psychotherapy, for the raising of sons, and for workplace and organizational issues.